Gardai are appealing for witnesses to a fatal stabbing in County Clare over the Bank Holiday weekend. It follows the death of a 23-year-old Limerick man, named locally as Jamie Higgins of Dooradoyle, following an altercation at the Shannon Knights Night Club early yesterday morning. A 19-year-old man remains in Garda custody in connection with the incident. A 22-year-old man who was injured, is still being treated at University Hospital Limerick, however his injuries are not thought to be life threatening. 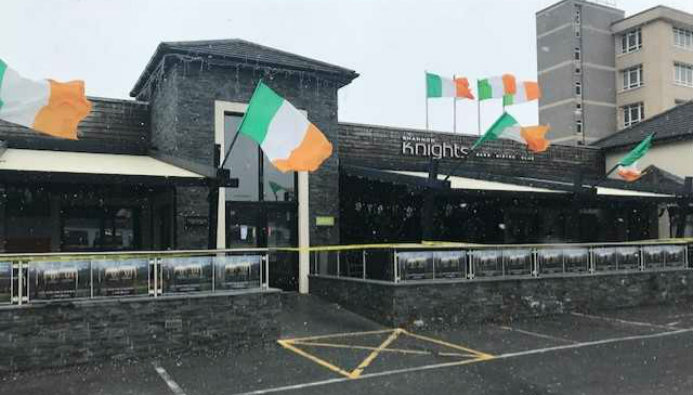 Gardaí are asking anyone who was in the Shannon Knights Night Club on Saturday night or early Sunday morning to contact them.